The Volunteers Against Crime And Corruption (VACC) is eyeing the imprisonment of former president Benigno Aquino III for alleged plunder in connection with the so-called pork barrel funds as well as the impeachment of Ombudsman Conchita-Carpuo Morales this year. 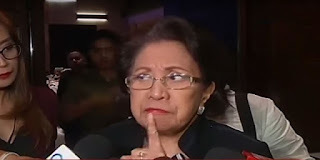 Ombudsman Conchita Carpio-Morales revealed her “true color” when she decided to clear former President Benigno Aquino 3rd of any liability in the implementation of the multibillion-peso Disbursement Acceleration Program (DAP) during his term, anti-crime advocates said Wednesday. wow De Lima the second.